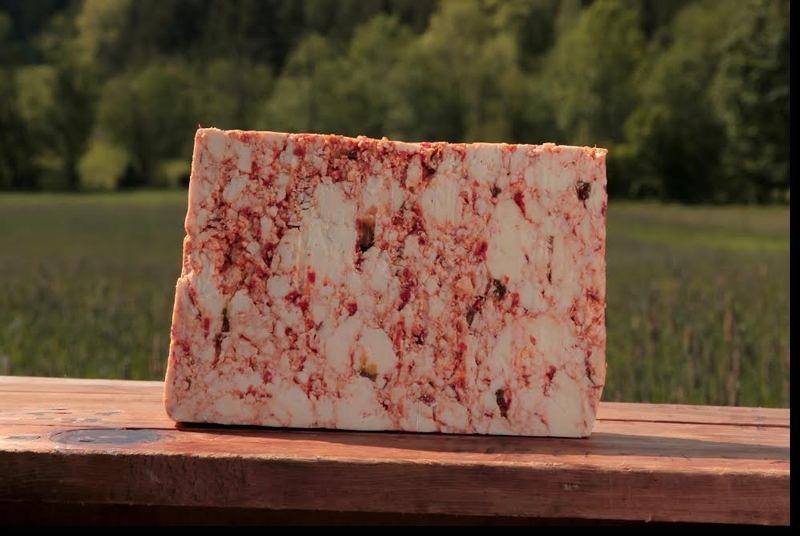 A powerful blend of jalapenos, smoked chipotle peppers, cayenne and chili flakes hydrated in red pepper oil combine to create a robust heat that explodes on your tongue and lingers even after the cheese is gone. Watch out for the after heat! The nutty dry jack base provides the perfect balance to the intense peppery heat. This is a cheese for the bold and the brave. You can forego the rouge tonight, ladies! This cheese will do the trick. Please note that this is not your average Pepper Jack, it has an extreme heat. If you are continually disappointed by the heat level in items labeled *HOT* you likely will not be disappointed. 1 lb., 1/3 lb., 2 lbs., 2/3 lb., 6 oz., 6.5 oz., 7.0 oz., 7.5 oz., 8 oz., 9 oz.